Nutrimetics is known for their range of products formulated from the purest natural ingredients with beauty needs for both men and women. 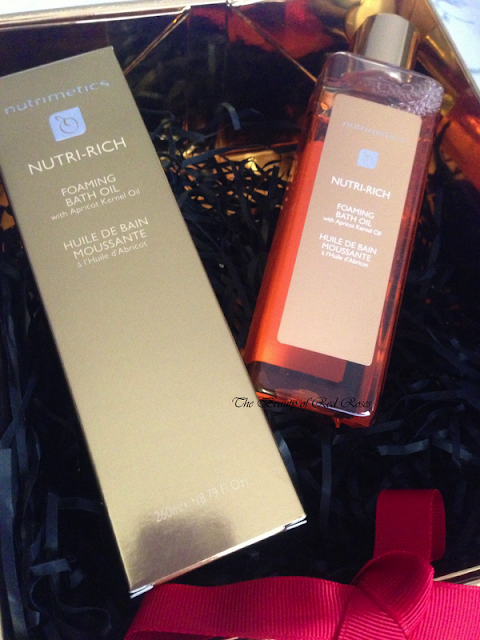 This Christmas season, Nutrimetics has released the Nutrimetics Nutri-Rich Gift Box (A$74.90) which contains a limited edition Nutri-Rich Oil Golden Orb (40ml), limited edition Nutri-Rich Luminous Body Lotion (125ml) and limited edition Nutri-Rich Foaming Bath Oil (260ml), all packaged in a beautiful golden gift box. 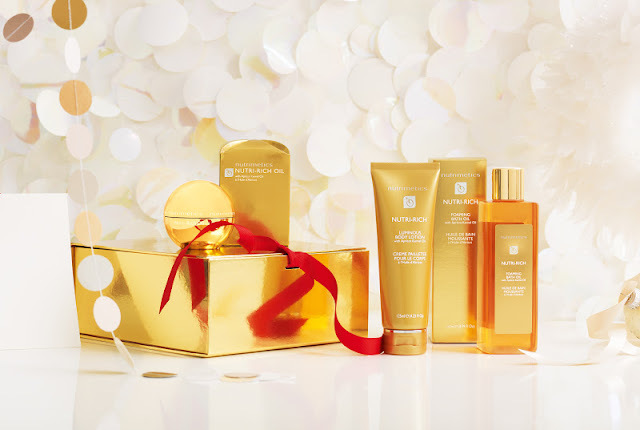 This luxurious gift set would be great for someone who loves and needs some TLC and a relaxing pampering session! 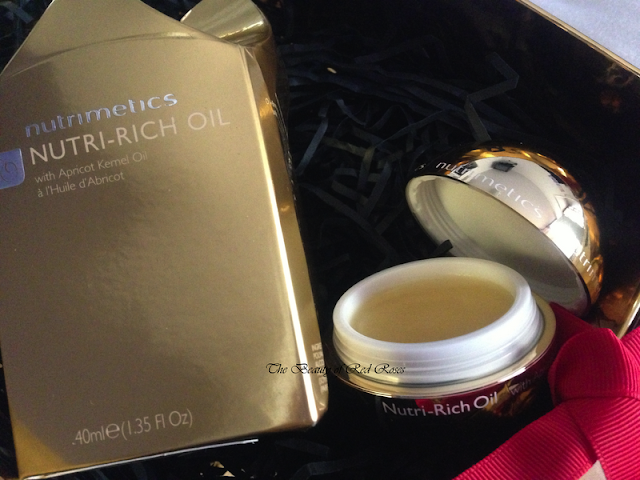 Nutri-Rich Oil Golden Orb is Nutrimetics icon which launched 43 years ago and 'til this day still remains a beauty must-have! The body oil is housed in a beautiful keepsake golden orb and the body oil is similar to that of a solid balm which is formulated with Apricot Kernel Oil, Carrot Oil and Vitamin E to intensely soften, smooth and nourish the body. The blend has a delightful sweet scent and is highly concentrated, so I always ensure I use a small amount to evenly nourish and moisturise my skin. My skin actually smells lovely and the scent lingers a good couple of hours during the day. 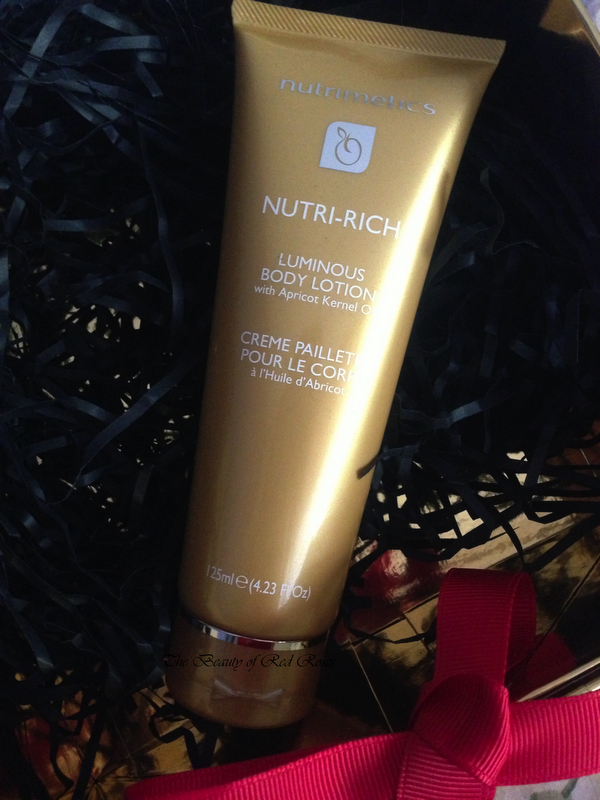 Nutri-Rich Luminous Body Lotion is a lightweight and nourishing body lotion which gives a lovely satin shimmery sheen to the skin. The stain shimmery finish is very subtle and is only just noticeable when looking at your skin closely. The formula has a lovely scent, almost similar to the Nutri-Rich Oil, and works well to hydrate my elbows and knees! With the added benefit of providing a subtle shimmery finish, this body lotion is also best applied to the shoulders and chest when preparing for a beautiful evening out. Nutri-Rich Foaming Bath Oil is the perfect addition for a relaxing pampering session with a lit candle to indulge and revive the senses! With a few drops of the bath oil, a wonderful burst of aromatic scents helps to relax the mind while deeply cleanse and intensely hydrate the skin! Are you planning on purchasing any pampering products/gift packs for someone special? Products were provided for consideration only. This review is 100% based on my own thoughts and opinions. I am not affiliated with Nutrimetics and did not receive remuneration to post this product review.